Sole Attested Ege Leaf from a Decorative Book of Hours, Apparently Gwara, Handlist 195. Single folio on vellum. Northern France, ca. 1450: 165 mm x 120 mm (justification, approximately 93 mm x 60 mm). Unfoliated. 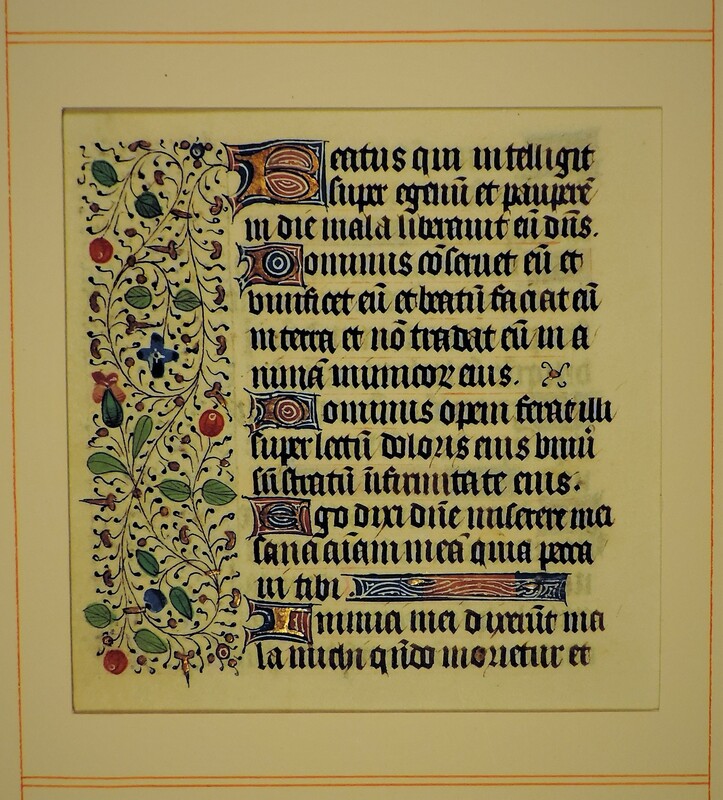 Decoration: fine rinceaux-style borders on both sides, with gold initials on red and blue grounds highlighted by white-lead penwork; line-fillers of similar execution. Text: Psalm 40 from third nocturns in the Office of the Dead. Condition: excellent; housed in an original Ege mat with price of $50. Provenance: collection of Otto F. Ege; the only manuscript candidate matching the dimensions and number of lines is Handlist 195 in S. Gwara, Otto Ege’s Manuscripts (Cayce, SC, 2013).